Like most little family businesses, we started this venture in our home, and by "home", I mean every available space in the whole entire house. We made soap in the kitchen, experimented with possible market displays all over the front room, set up our soap wrapping and packaging all over the dining room, had soap curing in every flat surface of the house, and had soap ingredients and supplies stashed just about everywhere. Obviously, a family of 5 just can't live like that very long. Renting a workshop doesn't work that great when you also have 3 little kids and do most of your work during nap time or after they go to bed, so I looked at my beloved parking space, storage space, hobby/tinkering space, took a deep breath, and said goodbye to my garage. The best thing about this space is that it is attached to our house, the downside is that house happens to be in the burning hot Arizona desert. 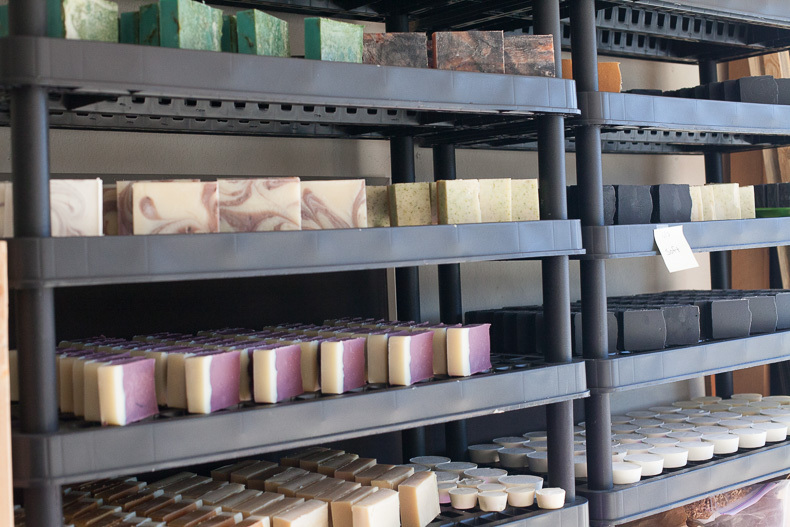 So the first step was to make it hospitable to the many temperamental oils and botanicals that we use for soap. We opened up the walls and pumped it full of insulation, installed a A/C unit with a promising little penguin decal on it and starting laying out our dedicated workspace. I know it is still really just our garage. I know it still houses our holiday decorations and underused treadmill. I know it's just a "for now" solution. But I love it, I LOVE it. I love having everything right where I need it. I love having my house back. I love having a space where I step in, and I'm instantly in SOAP MODE. I love having a space where I am not thinking about the dishes or netflix or food (just kidding, I'm always thinking about food), a space where all I'm thinking about is soap, how I can make it better, how I can get it out there more and how much fun this all is! So here it is, welcome to our little studio! And thank you, I can't say it enough. Thank you to everyone who has been supportive of this crazy idea of ours! 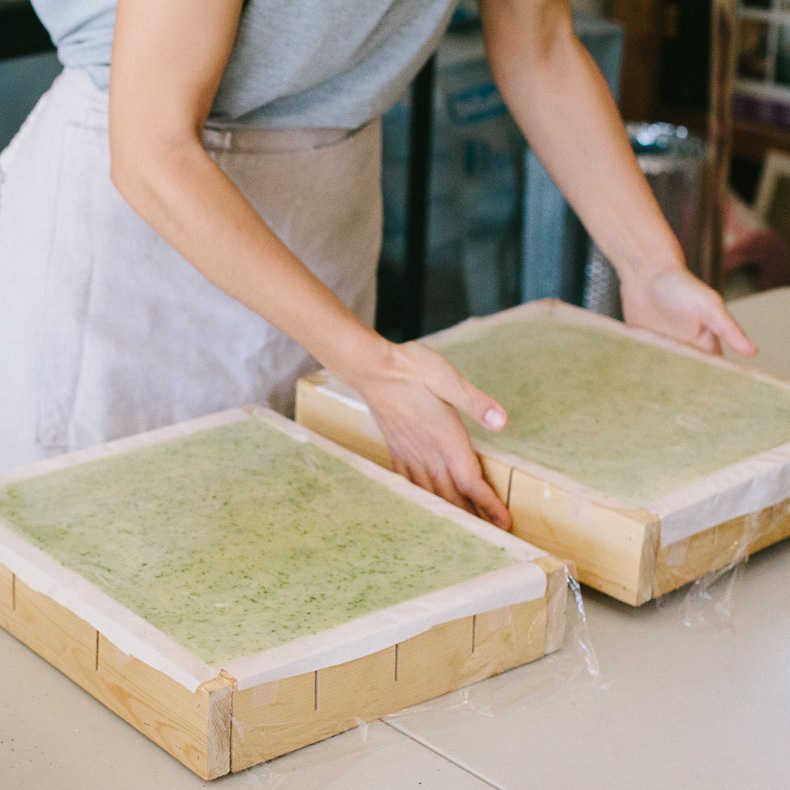 We love that we get to be right here, in our own little home with our own little family making soap for you!